Police officer, dad, veteran, former Oklahoma State House of Representatives candidate and transgender woman Paula Sophia Schonauer, 49, of Oklahoma City, spoke to students, faculty and staff as a participant in this semester’s Transgender Panel. The panel is organized as part of OCCC’s Human Sexuality course taught by psychology Professor Greg Parks. It took place from Wednesday, Oct. 21 in CU3. Michael Quayle, 43, of Oklahoma City also spoke of his life as a transgender man. Quayle was born with the body of a woman in 1972. He said as a child he would wrestle and not act like other girls. From then on, Quayle said, he learned to be invisible. He said he joined the Marines shortly after graduating from high school. He met his husband during his four years of service. After giving birth to his son in 1994, Quayle said his emotions could no longer be repressed. After previously deciding to wait till his son was 18 to tell him, Quayle said when his son was 4, he thought about how his son would never trust him again once he found out he had lied to him his entire life. “For my health,” Quayle said he realized, “I have to focus on me.” Quayle said that is when he started living as a man. Schoener spoke about how even after she transitioned to living as a woman, gender roles were still harmful to her. “Some of these gender roles, and expectations and stuff like that oppress us all. “If you’re a big woman you are criticized for not being feminine enough. If you’re a little woman, no one takes you seriously because people think ‘Oh, you’re just so cute,’’’ Schoener said. Parenting, health care, and politics also were discussed at the forum. Schoener said after her transition, her two children struggled with the right word to call her. “They already have a mom,” Schoener said. Eventually, she said, her son asked if he could just call her dad. She said she tells those critics that they do not understand her relationship with her children. “Mom and dad are not pronouns,” Schonauer said. “They are relationships.”. 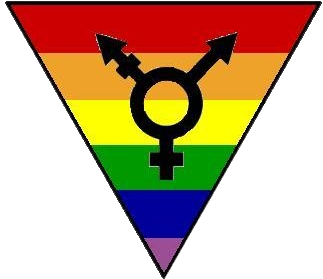 For more information on the Transgender Panel or the Human Sexuality course, contact Parks at gparks@occc.edu.